Chef Thomas of everyone's favorite Italian restaurant, Maggiano's, will share how to make a beautiful Tiramisu. The Sexiest Dish in Atlanta! Atlanta has been coined one of the top three culinary cities in the US - experience why when you check out the sexiest dishes in our city first hand! 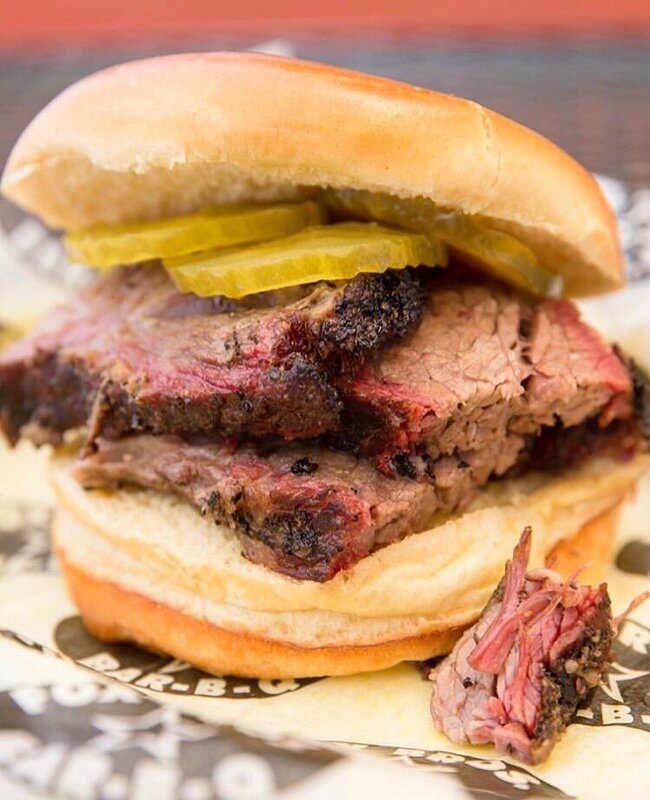 Experience the down home taste of the newest, Texas style, smokey brisket from A-town's most recent BBQ hit, DAS BBQ! Time to fire up the grill y'all! Weber Grill Master Dustin Green will demonstrate how to rock a rack of ribs with Ravage wine and his own secret rub! They say those who eat well, eat Italian! Join in on the fun by learning to cook an authentic Italian dish with the pros from Cooks Warehouse while Hammer Stahl sharpens up your knife skills! Chef Allen Lo will spill his families generational, Sczechuan Wonton recipe that is surprisingly simple enough to make at home. Cookbook author Cynthia Graubert, James Beard Award winning writer for Mastering the Art of Southern Cooking, will show home cooks how to perfect the art of stir fry. Holistic Nutritionist, Chef Zu will teach even the most novice, home-cook how to cook a vegan dish created by Atlanta's own Peach Dish. Eating healthy doesn’t mean "salad only!" Authentic Asian home cooking doesn’t have to be hours of chopping, shopping or require special equipment like a wok and cleaver. Natalie Keng of Chinese Southern Belle, to the rescue! Watch as she simplifies the Perfect Stir Fry in “1-Minute Stir Fry” featuring her mother’s signature 3G’s tip and their natural, homemade sauces. Northside Hospital Dietition, Elyse Krawtz will work alongside Natalie to share her tips about how families can eat healthier at home. Shake it up with a fun, new recipe idea from Georgia Peanut - kids love new surprises! Famed Westside wine-bar, Barcelona will pair up with Taste of Atlanta's Best Sommelier Winner, to show-off what to sip with Brunch-style Fiedeos. Chef Pat Pascarella will whip up his brunch best while sharing egg-stordinary secrets about one of Atlanta's most ordered brunch items while Emory Dietition Beth Boyett debunks egg myths! Midtown hit Simon's Restaurant will share how they put their own southern spin on the well-known, classic Spanish dish, Paella. French Toast-est With The Mostest! French Toast is all the rage at brunch these days - Chef Taylor will top off her "made from scratch" french toast topped with delicious decadence and a Flor de Cana rum cocktail! Aint no instant grits here! Get ready to mix grits and greens with one hand and sip a Sunday Brunch Bloody Mary in the other as you cook along with one of Atlanta's best chefs! Chef Tregaye Fraser, American chef and winner of the twelfth season of the Food Network television series , will present a veggie filled, breakfast dish perfect for kicking off your Sunday Funday. Learn to make two classic southern dishes with a french twist from Southern raised, French trained Chef Jennifer Hill Booker's cookbooks - Field Peas to Foie Gras: Southern Recipes with a French Accent and Dinner Deja Vu: Southern Tonight, French Tomorrow. Chef Dad's and their son's will team up and compete for Best Dessert featuring a secret, Georgia grown ingredient! Judges: Miller Grove High School Culinary Students. Atlanta Cocktail Culture: Where we've come from and where we're going - A spirited discussion with three of Atlanta's top beverage professionals (as well as former Taste of Atlanta Barcraft Challenge winners) about the successes and strides that A-town drinkslingers have made in the past several years as well as a look at some of the challenges and goals ahead. Come cheer on culinary students from Miller Grove High School as they compete to win a challenging cooking competition - Best Twist on a Chicken Dish! This fall, Atlanta area bartenders were invited to participate into the Taste of Atlanta 10th Annual Barcraft Celebration presented by Bulleit Bourbon. The spirited schedule kicks-off with three events at local restaurants prior to Taste of Atlanta. Join these talented finalists as they gather around the same bar to have a drink and exchange ideas. At the festival, each esteemed bartender will dish out a Bulleit Bourbon cocktail and teach the crowds how to make these concoctions at home. Drinking to Forget: The Myth of American Whiskey - tall-tales of whiskey's place in history. Drinking the Classics: An overview of the Old-Fashioned cocktail and other Bourbon-based classic cocktails. Older is Better: A foray into the art of maturation and the role ageing has to play in Bourbon. Grab a seat as Atlanta's rock star chefs lay their cards on The Chef’s Table. Each will share their culinary journeys...you will have the opportunity to learn and be entertained. Come hear what tunes the chefs are playing in their kitchen. Atlanta’s own Tom Sullivan returns as the host of The Chef’s Table. Tom is an Emmy nominated On Camera Television Host, Radio Personality and a Corporate Events Emcee with Fortune 500 companies and Charities. Tom has the ability to genuinely connect with the audience while keeping the chefs chatting and cooking at the same time. Tom also strongly believes in giving back to the community and works with countless charities during the year. The Cooks Warehouse invites you to join them for hands on free cooking classes by Atlanta's favorite chefs. If you’ve been cooking for years or still learning to boil water Atlanta chefs will give you step-by-step instruction in The Kitchen Workshop. Roll up your sleeves for this hands-on cooking experience that has each class leaving with leftovers and a feather in their toque. Taste of Atlanta welcomes Holly Firfer to the festival as host and emcee of The Kitchen Workshop. Holly is an Emmy nominated journalist who you have seen covering everything from hurricanes and floods to celebrity trials, campaign trails and sporting events for CNN. Holly is active in many charities and actively raises money for cancer research and animal shelters. She has also lent her efforts to the fight against autism and diabetes. Holly is a native of Chicago, Illinois and a graduate of Northwestern University. In her free time she enjoys reading, traveling with her husband Shawn and being a "mom" to their many animals. Let's get cooking on the Home Plate cooking stage! Home cooks and chefs of all ages inspire festival-goers to tie on an apron, gather around the kitchen counter and stir up some fun with local Georgia products and healthy recipes. In addition to daily demos, come check out our Future Chef Food Fight where three budding young chefs are put to the test as they create a dish with that day's special ingredient. Judges are also young chefs with "adult" palates.